David Arnold Johnson was born in Newton, Alabama on October 19, 1931 to the late Adam and Oshell Johnson. He accepted Christ at an early age and began on a path of tirelessly devoting his skills and efforts to serving the church. Upon graduating high school in Houston County, he was called to service in the United States Army. After faithfully serving in the Korean War, he received a Honorable Discharge from the Army and decided to further pursue his education. In 1955, after separating from the Army, David attended Alabama State University where he would earn his Bachelors degree in education. More importantly, this is where he met Toreatha Means. David and Toreatha wed in 1958 and would ultimately reside in Butler, Alabama where the union was blessed with three children, Cheryl, Kenneth and Kevin. They remained together for 60 years until Toreatha peacefully departed to her eternal home in March of 2018. David’s professional career in education covered 30 years in the Choctaw County School system. During this time, his many duties included 12th grade government teacher and principal at Lisman and East Choctaw schools. Also during this time, he furthered his own education by earning his Masters degree and his Educational Specialist degree. He would retire from teaching in 1996 to devote his time to family and church. David devoted a great deal of his skill and energy to Butler Chapel AME Zion Church. From Sunday School Superintendent, to Deacon, to Chairman of the Trustee Board, he was always willing to serve. 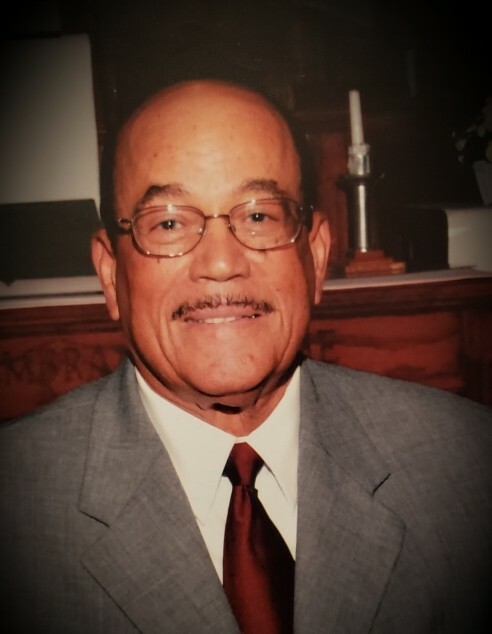 In addition to his service to the church, he served the community in many roles and was always willing to lend a hand and his talents to help a worthy cause. He leaves to cherish his memories, a daughter, Cheryl; two sons, Kenneth and Kevin; four grandchildren, Brittany, Aaron, Kenneth Jr., and Miles; a brother and sister-in-law, Lee and Frances Mott; two brothers-in-law, Milton Means and John Means (Peggy); and a host of other relatives and friends.